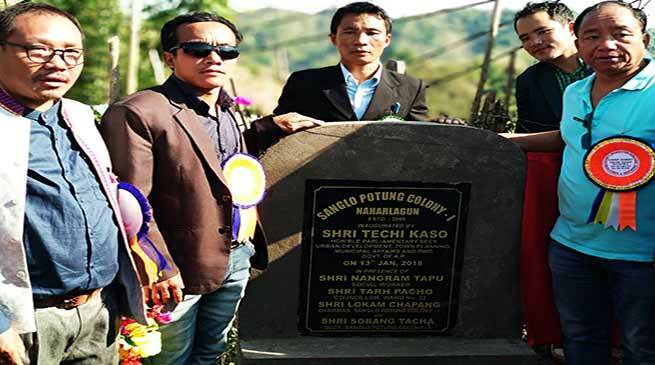 Parliamentary Secretary UD, PWD & ULB & Itanagar’s local MLA Techi Kaso inaugurated Sanglo Potung Colony-I in on Saturday. Inaugurating the Sanglo Potung colony Kaso appeal the villagers to maintain cleanness and work for the development of village and unite themselves so that every people of the colony learn civic sense. He assured all his support in bringing development of the colony in phase manner. IMC Councillor Tarh Pacho among other were present during the occasion.